Around Kentucky and all other places in the BBN, Big Blue Nation for those of you that don't know, today is Louisville Hate Day. This is one of my all time favorite holidays as it signals the nearing Kentucky vs Louisville football game. However, Louisville isn't all bad, historically speaking. 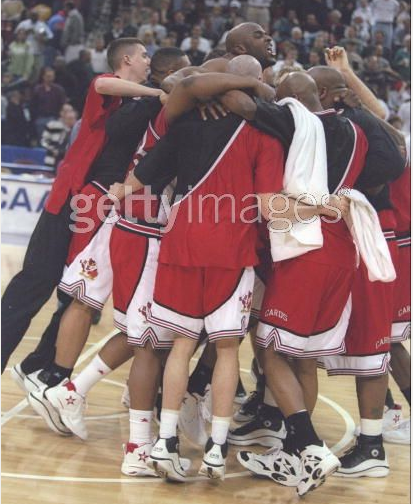 There was a time before Ricky P that Louisville was one of the teams sponsored by Converse. That was back in the day when Converse wanted to promote their basketball products and used college basketball teams to showcase their shoes and later jerseys. Anyway, I thought it would be nice to show off what that used to look like and I found a great picture with U of L players wearing the Converse Springfield and Dr. J 2000 along with some other React shoe that I can't identify. This picture is the only picture I want to see Louisville celebrating in for a long long time. Happy Louisville Hate Day and Happy Thursday Throwback. The heyday of the Converse shoe company!